This much-abused quote is frequently tweaked to say “ignore” or “forget” history. Sometimes people simply choose to ignore it, particularly when there are profits to be made. So it is with the opioid industry, legal and illegal. We are in the midst of an opioid epidemic that threatens to destroy a generation. The Center for Disease Control’s most recently published numbers are that 91 people a day are dying of opioid abuse of one form or another. One suspects the current number to be higher. One friend told me her son had lost ten friends to opioids. TEN! A recent article in The Guardian describes a ten-year high school reunion in which fully half the class was missing—dead from pills or heroin. It is now the leading cause of death for young people, beating out automobile accidents. It happened before; only that time, America and England were not the victims. They were the perpetrators. The Opium Wars of the 1840s should not be ignored or forgotten. Histories of those wars frequently center on the concepts of free trade and extraterritoriality, the efforts to “open China” to trade. Extraterritoriality means that expat nationals are exempt from local laws as agreed upon by treaty. It is the principle on which diplomatic immunity lies. However, to say the Opium Wars were about extraterritoriality and not opium is like saying the American Civil War was about states rights and not slavery, using a high-minded principle to cover the stink of injustice in the name of greed. 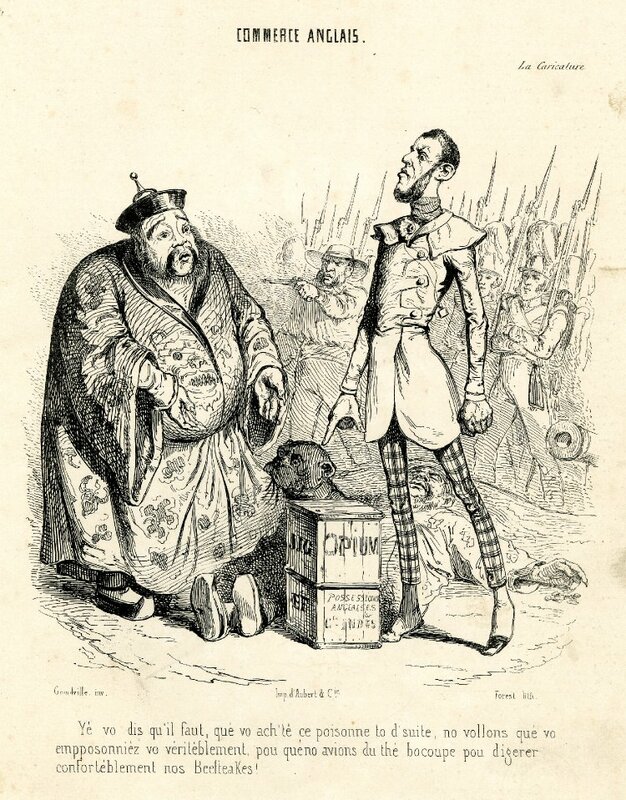 In the case of China, free trade and extraterritoriality existed merely to provide cover for merchants, smugglers, and the East India Company and enabled them to push opium on China in violation of its laws and over the vigorous objections of its government. Without the illegal opium trade, there would be no need to go to war over extraterritoriality. First a word about free trade. By 1800 the West saw China as a massive potential market. Throughout the 18th century traders grappled for goods to buy cheap and sell dear. For the British one commodity stood out: China had tea. Tea could be sold for a huge profit in England and much of Europe. The Chinese were happy to sell tea for silver, but saw little value in the things offered in trade. English textiles, the output of English mills and a huge part of its exports, had no value whatsoever. Chiming clocks appealed but were of little value. Seal furs worked until Americans depleted the numbers so severely there was no longer enough to trade. Silver from other markets could be used, but the balance of trade tipped entirely in China’s favor. The Company needed a commodity that would sell. They found it in opium. 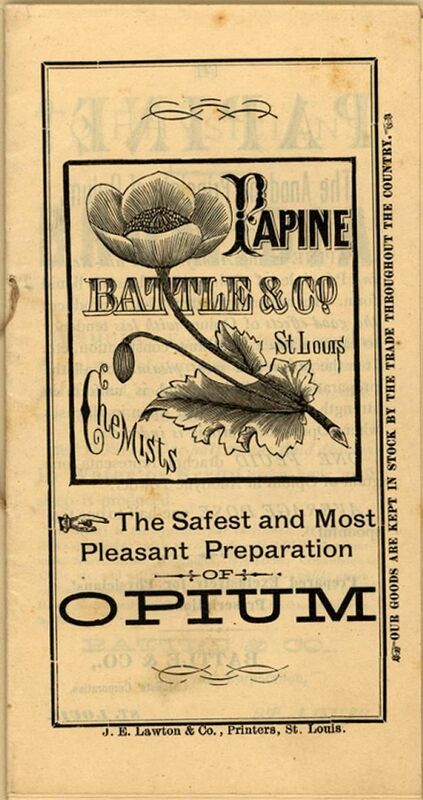 Medicinal opium came into China as early as 1659, brought by the Portuguese and Dutch traders. Bitter medicinal opium, swallowed raw, had limited acceptance. 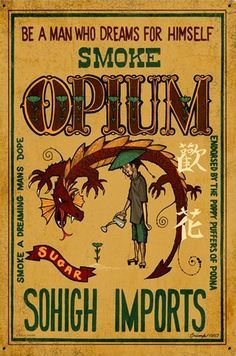 Opium also reached China overland from Burma and Thailand and the smoking of opium, a practice that proved much more highly addictive. It was condemned from the beginning as harmful and contrary to the Confucian principle that a smoker’s body had been entrusted to him by his ancestors and was not his to demolish. Still it came. As demand increased it became clear to the East India Company that opium was the one commodity China would pay cash for, silver they could turn around and use to buy tea. And the East India Company controlled access to plenty of it in the poppy fields of India. In 1799 the Imperial Court issued a decree making both the smoking of opium and its importation illegal. What ensued is a long complex tale of bribery, corruption, smuggling, deception, and schemes to get around the restrictions. The East India Company’s efforts spawned a huge network of country traders and smugglers. Their convoluted business arrangements have been better documented elsewhere. Suffice to say the tea trade had become all-important; a tenth of the revenue of the British government came from taxes on tea. They couldn’t allow the tea trade to be threatened and therefore they had to not only tolerate but also support the opium trade that underpinned it. For a period, the Company was content with a relatively small amount of opium at a very high price. From roughly 200 chests of opium per year, trade increased between 1800 and 1820 to 4-5000 chests a year. Priced high, opium was an exotic vice, not one for the masses. When American and Portuguese traders began to sell Turkish opium in Canton, however, the Company reacted forcefully. They dropped the price drastically and flooded the market with cheap opium. Make no mistake. Their stated policy was to expand the market by expanding the customer base, in plain language, to increase the number of addicts in order to maximize profits. By 1830 the trade reached 18,956 chests per year. 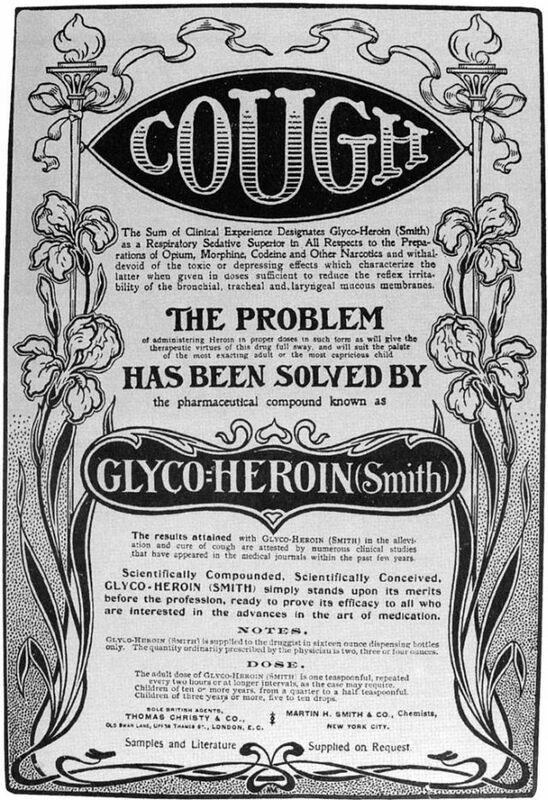 Meanwhile in England, growing awareness of the harm opium (once regarded as a helpful pharmaceutical) could do led to opposition to the trade. Gladstone, for one, spoke forcefully against it. No effective regulation ever occurred and a growing belief in unrestricted free trade in all its forms made it unlikely any would. The East India Company’s monopoly on China trade was ended and unrestricted merchant trading companies flourished. down collaborators, and destroyed opium stores. In the skirmishes and manipulation that followed inevitable lives were lost. When he demanded that the British navy turn over an Englishman who had murdered a Chinese, England balked. The arrival of the Royal Navy, as egged on by the merchant traders, ostensively acted in defense of extraterritoriality (you can’t judge one of our citizens!) and forced the Chinese to back down. The resulting treaty “opened China,” and humiliated its government. Back in England, education on the evils of opium continued while the poisoning of the Chinese population continued unabated. They knew the harm then. We know it now. One hundred and seventy plus years later, American youth are dying of various forms of the same drug in huge numbers. The chief opium derivatives in current use are codeine, morphine, Oxycodone, OxyContin, Percocet, Hydrocodone, Vicodin, Percodan, and Methodan. And oh yes! Heroin and its potent synthetic look alike, fentanyl. A number of factors have been blamed on the problem including poverty and unemployment. The over prescribing of opioids as painkillers under all the brand names above is without question a leading cause. Once pills are unavailable, cheap heroine, flooding the market from the cartels takes over. Cheap heroin—an opium derivative? Flooding the market? Does that have a familiar ring? Make no mistake. 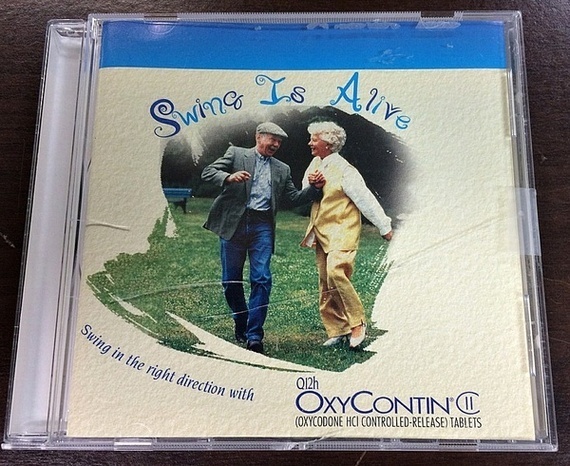 The pharmaceutical companies have heavily marketed their drugs to doctors, encouraging widespread use. Does that make them complicit? After all, they merely exercise free trade. Does that have a familiar ring? Some people think enough is enough. Reluctance on the part of politicians to regulate the pharmaceutical industry (again in the name of capitalism) or to hold them accountable for their practices is not universal. The State of Ohio has filed a lawsuit to hold them accountable for a marketing program that pushed the drugs while minimizing known dangers. Similar suits have been brought in four other states from various cities, counties, and the Cherokee nation. We must have been ignoring history because we certainly seem doomed to repeat it. Perhaps it isn’t too late to step up. We can hope. A very timely and informative post, Caroline! That was an eye-opening read! Thank you; I enjoyed it tremendously. There is not a person in the country who hasn’t been touched by this epidemic in some way. Thanks for the timely reminder that to pave a good future we must look back and implement the lessons learned. Thank you, Caroline. I highly recommend the epic novel trilogy by Amitav Ghosh about the Opium Wars. Sea of Poppies, River of Smoke, Flood of Fire. Ghosh has great insight into the minds of both perpetrators and victims. Thanks Steve. I will look for them. Fascinating stuff and very timely. It is horrifying how prevalent heroin use is now. My daughter had to kick to of her high school friends out of the house they were sharing because they were both using. One of my son’s childhood friends went to prison for selling heroin. A very bright, middle class kid whose future is pretty grim now that he’s out. None of their friends have died at least, but it’s probably only a matter of time. Heartbreaking to watch. In our day (I grew up in the 60’s and early 70’s.) only people from the very bad part of town used heroin. Prescription opiates are what made it acceptable. The only hope is that now that it’s their neighbors’ instead of someone off in a ghetto, law enforcement will force the politicians to treat it as an addiction instead of a crime.